What’s the square root of 4,321? Dr Amit Garg can answer that faster than you can key that on a calculator. The answer is 65.7 (to one decimal place), and it came almost instantly from Dr Garg, who on a recent visit to Dubai cracked far tougher questions in a flash. The 39-year-old Indian national is among the elite few “mental calculators” with incredible power to solve maths problems all in the head. 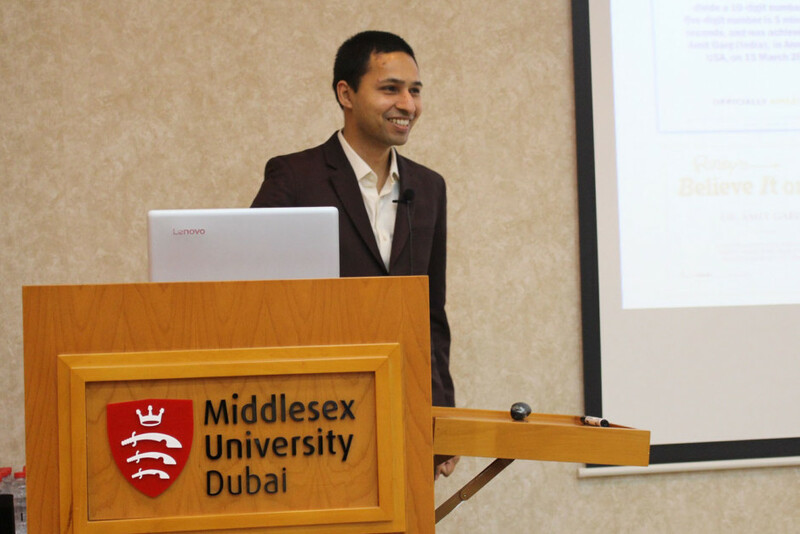 Last week, Dr Garg astonished students at Middlesex University Dubai, pitting himself against computers to complete calculations. 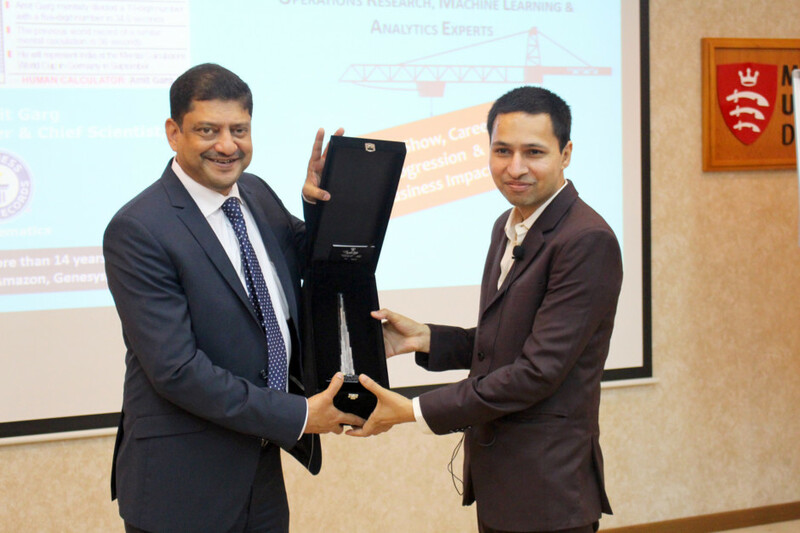 Dr Garg is a Guinness World Record holder in math. In 2012, he broke the mental calculation world record of completing ten tasks to “divide a 10-digit number by a 5-digit number” in 5:45 minutes without error. Later in the same year, he won the silver medal in the mental calculation competition at Mind Sports Olympiad in London — the only Indian national to win a medal in the contest. 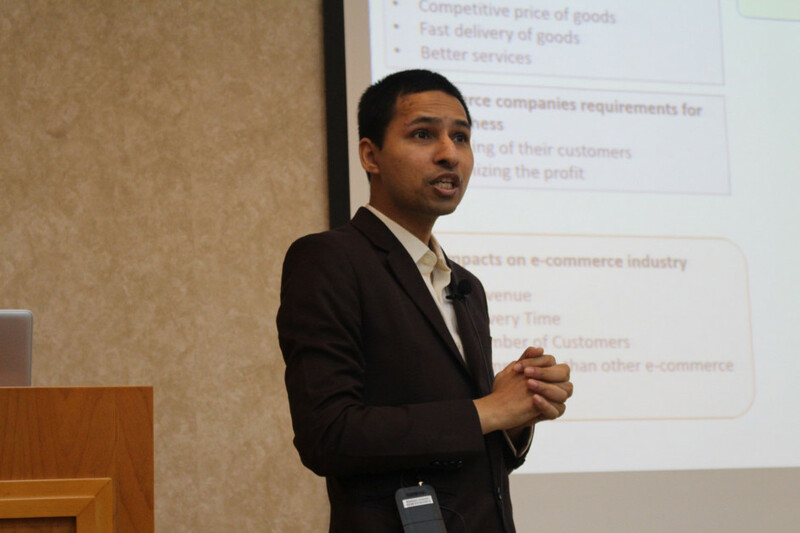 Dr Garg is also founder and chief scientist at ORMAE, a company based in India developing algorithms for Operations Research, Machine Learning and Analytics. Dr Garg told Gulf News it is important for people to do mental maths. “In general, people have become excessively reliant on calculators, often for something they can easily work out themselves. For example, you don’t know if your groceries are within a sensible range as you pick items off the shelves because you’re not adding them up as you go along. You only find out when you get to the till,” he said. One way to get better at maths, which intimidates children and grown-ups alike, is to imagine numbers and equations in a physical dimension, Dr Garg said. “A square is a square, but it is also a flat area — a length multiplied by the same length. A cube is three-dimensional, it holds a volume of something,” he explained. “Ever since I was three, I was interested in math, and I was good because I was able to relate to numbers in a personal way — most people just see numbers as numbers. I remember I used to take my glass of milk, think about its quantity, and think about how many children one dairy cow would support. Dr Garg remembers how his schoolteachers would think he was cheating because he never wrote down intermediate steps in his solutions to math problems — he didn’t need to, he was doing them in his head. Today, he uses Applied Mathematics to help businesses solve problems such as the optimal route to spray agricultural chemicals in a 2,000-square-kilometre area by tractor; the algorithm for shift timings so call centre agents can answers calls within 20 seconds with the least number of agents on duty; or the best options for tourists with four hours and Dh300 to spare on a one-night visit.